Christmas came a little early around here, as you can see from the photo below. I've decided to upgrade to brewing into kegs and to build myself a kegerator instead of forcing Shannon to keep capping all of those bottles for me! 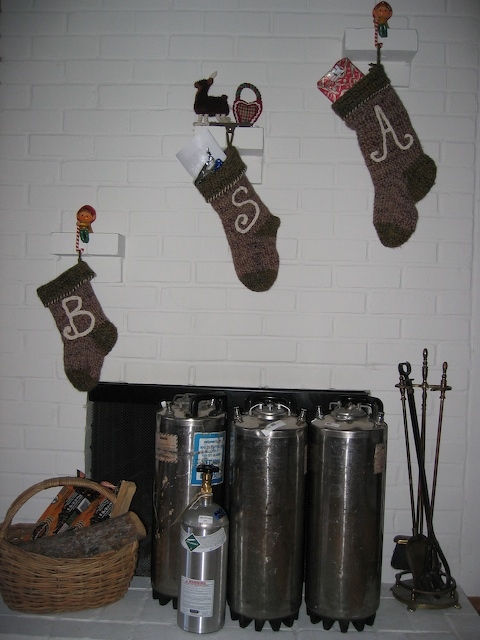 You can see my three kegs (they're old soda kegs) and CO2 tank in the photo, as well as three of Shannon's handywork.